I think my flower garden is developmentally delayed. I have watched other peoples lilies and delphiniums in full bloom for the past two weeks, while my flowers just grew on their own schedule with no inkling to bloom. Then yesterday – kapow! Tiger Lily! (Ok, I don’t actually know what kind of lily it is, but it’s orange, so I’m going with tiger). Check out this baby! I’m SO EXCITED about this one flower!!! I’ve been working this garden for three years and have never seen a lily. Only last year was I able to identify it as not a weed, then some cottontail ate it! Lois says that they need to be divided every 4-6 years and to plant them in a place they haven’t grown before to prevent disease, so last year I moved most of the bulbs to a sunnier location. This is one I MISSED. She is doing much better than her sisters in their new home. After re-reading Lois’s, I’ll have to remember these tips for next year. Heavy Feeders! Bone meal and 20-20-20 one a month until Aug 1. Part of the reason I thought these plants were weeds was these weird black nodules on the stem. 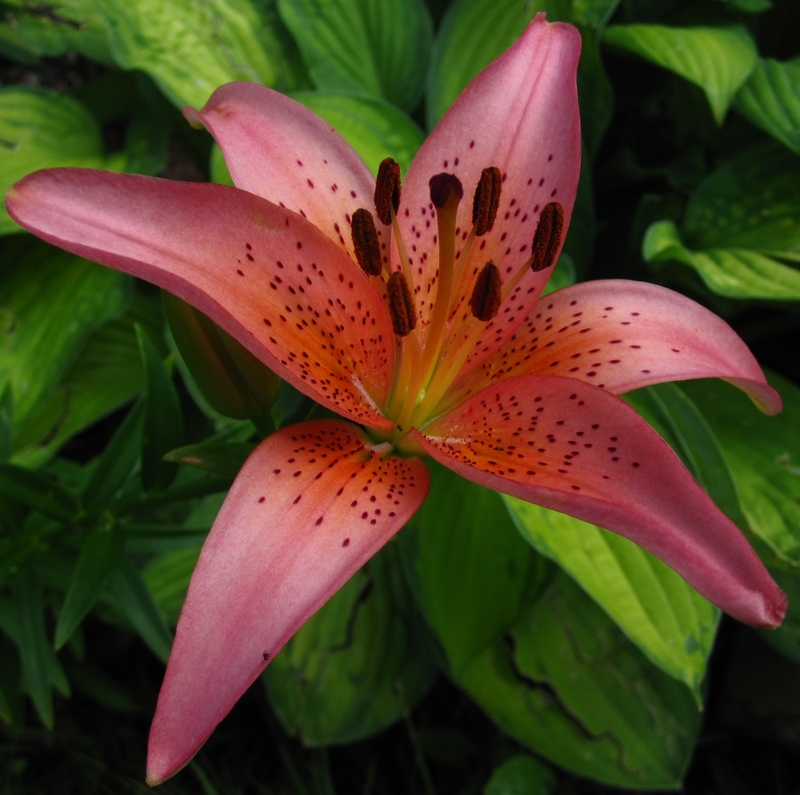 Thanks to Mike’s Backyard for explaining that they are part of the lily’s propagation. I had to get my finger in the picture so you could see how small they are. 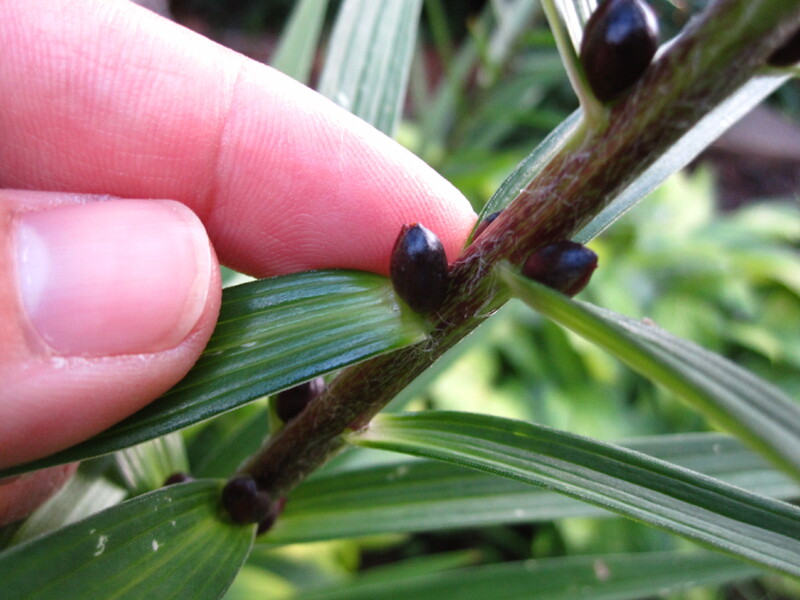 The bulbils will eventually mature, fall off, and start to grow in the soil. But you might want to collect them so you can control where they grow.